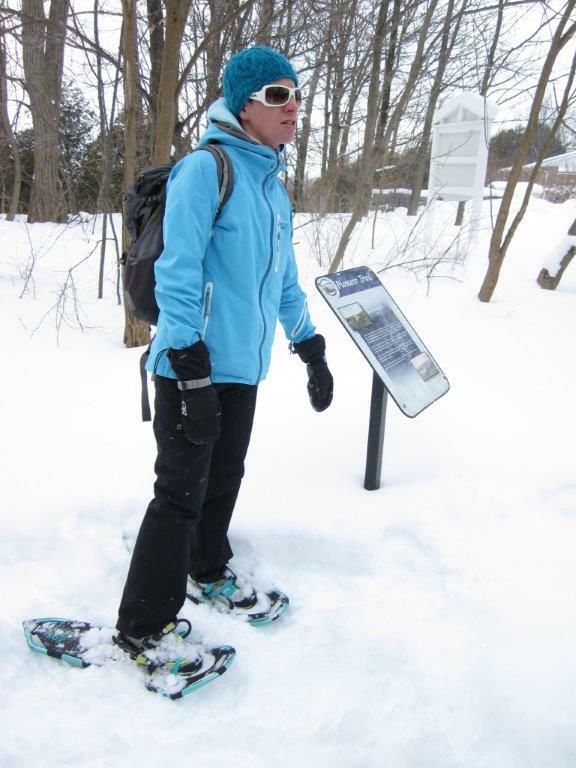 Heidi Martin from Outside Projects leads us on a snowshoeing adventure! A long time ago I tried snowshoeing during a class trip to Quebec. It involved large hefty wooden snowshoes that made you waddle back and forth like a penguin in the snow. Thankfully, when I booked a guided snowshoeing tour during my stay at the Little Inn in Bayfield (more on my Little Inn experience in a later post! 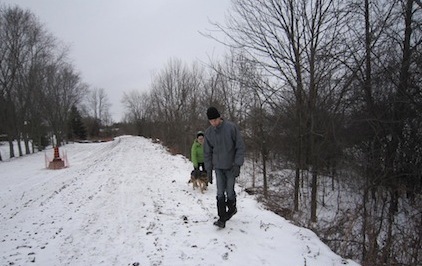 ), the snowshoes were nothing like I remembered. The were much smaller and made of light weight metal…so no more waddling and tripping over my own feet! 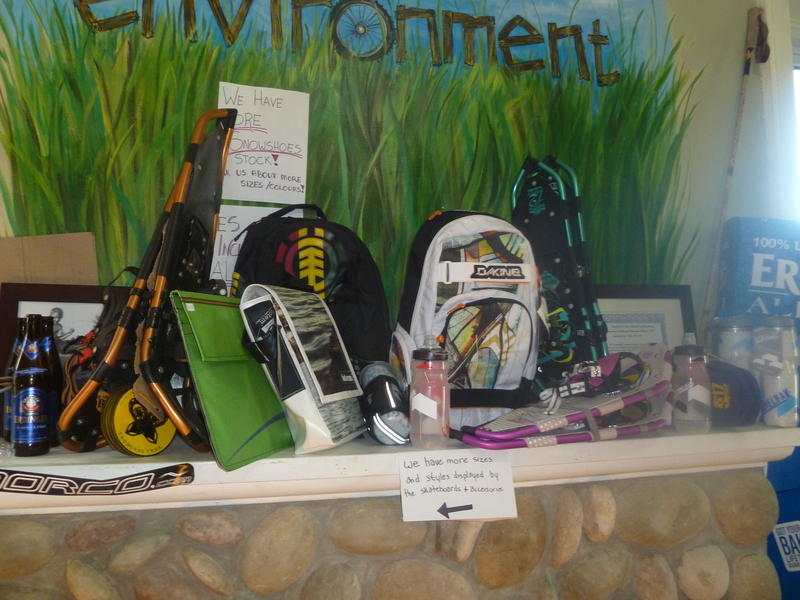 Outside Projects offers guests at the Little Inn an opportunity to book guided snowshoeing tours ($20 per person) including snowshoe rentals ($15 per person). Heidi Martin from Outside Projects led a group of 10 of us “snowshoers” through a 2 kilometre hike on the Sawmill Trail just outside Bayfield. 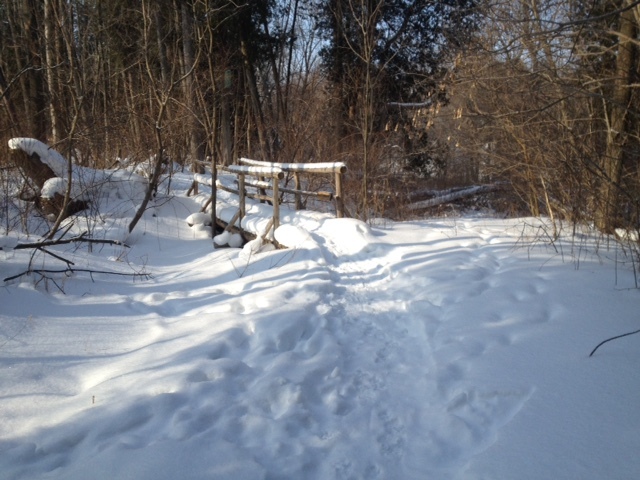 The entrance to this Bayfield River Valley Trail was about 2 kilometres from the Little Inn, just a short drive over the bridge on Bluewater Highway (No. 21) to Old River Road and Sawmill Road. Tyler Hessel from Outside Projects greeted the group at the trail entrance and provided an overview of what to expect and also helped those who needed some assistance (yes, that would be me) with putting on our new shoes. Enjoying my new winter shoes! 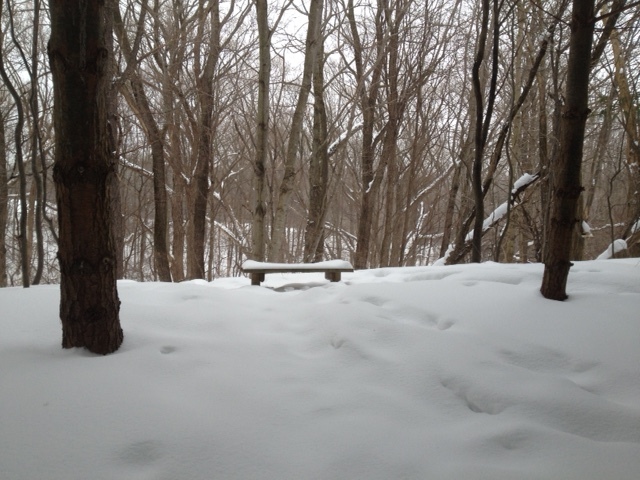 The trail started with a lookout point donated by private owners where you can overlook Lake Huron. Then we proceeded with a descent down what Tyler called “Heartbreak Hill”, which I realized why it was named so when going back up the never ending hill! 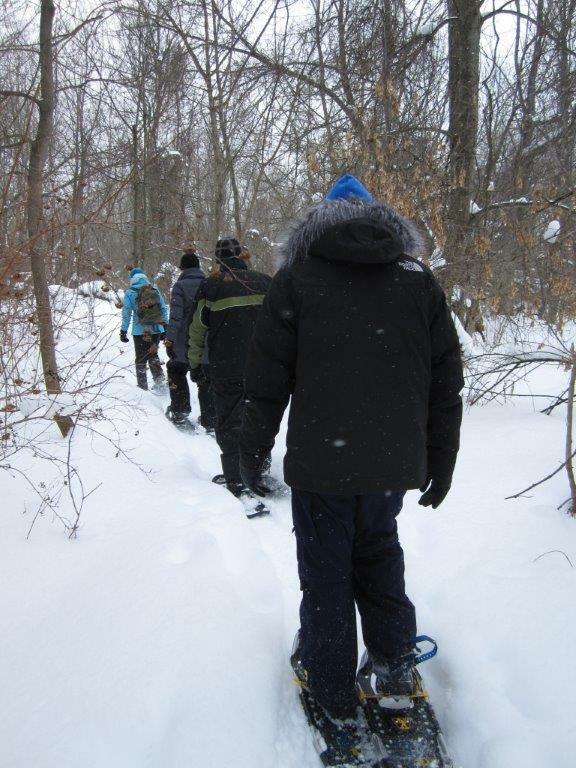 There is no doubt that snowshoeing is a great form of winter exercise. 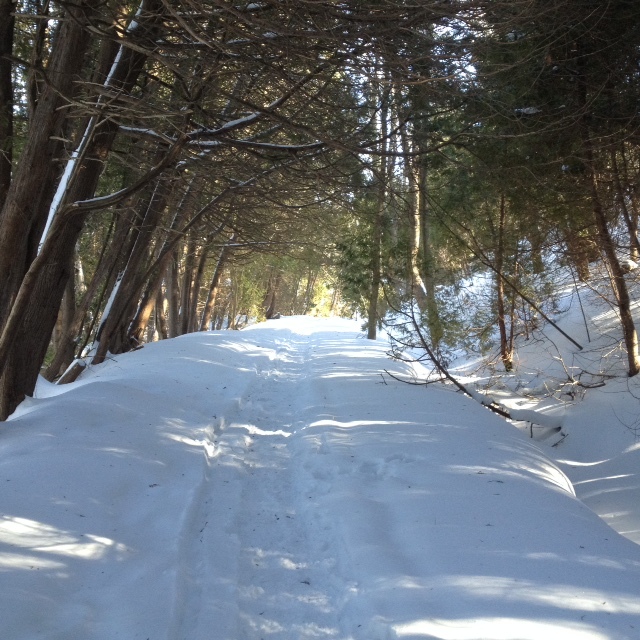 The trail is rated as moderate difficulty, but even with the snowshoes on, I never felt wobbly or unsure on my feet. 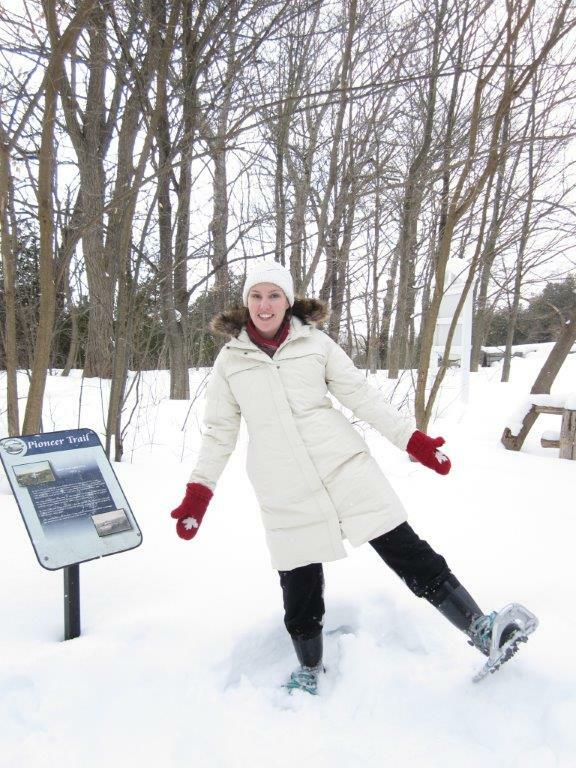 As long as you walk sure-footed, snowshoes are very safe and an easy way to walk in the snow. The tour lasted a little over an hour and was very peaceful as we hiked through the clearly marked trail along the Bayfield River. There were interpretive signs throughout about local plants (such as ferns) and animals (such as wild turkeys). Bridges and benches also lined the trail, and Heidi said that about 1,200 volunteer hours were involved in constructing this specific trail, which was opened in 2009. 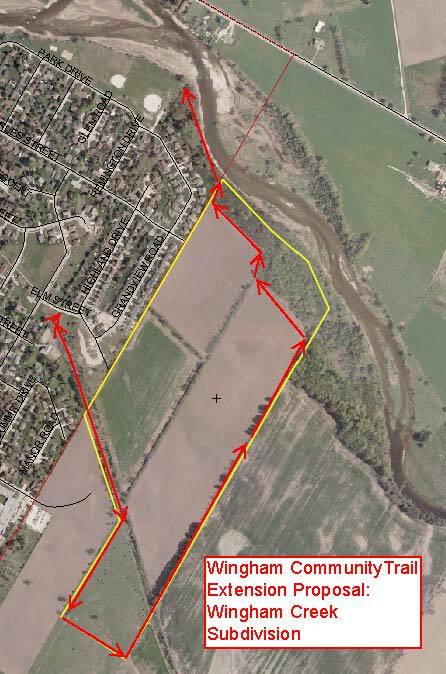 The Sawmill Trail was made available with the permission of various landowners, so it was great to see the results of a community coming together to make this trail happen. Snowshoeing was more fun than I expected, and I would definitely do this again! Sawmill Trail leads to the Bayfield River, where you can see the remnants of the old mill dam and bridge at the river’s edge. It was a beautiful Sunday morning to take a ride around Bayfield and get a glimpse of a special concert playing tonight. The Bicycle Opera Projects consists of a group of young professional singers who bike around southwestern Ontario to bring contemporary Canadian opera to communities across Ontario while working to demythologize the idea of an opera singer, break operatic tradition and provide a car-free alternative to touring. I recognized one familiar face in this group – Geoffrey Sirett was a guest artist here last summer during the 2012 Bayfield Festival of Song. Today (July 21, 2013) they stopped in Bayfield, Ontario. We met at Outside Projects – a great little shop on main street – where owner Tyler Hessel greeted the group of singers and community supporters. 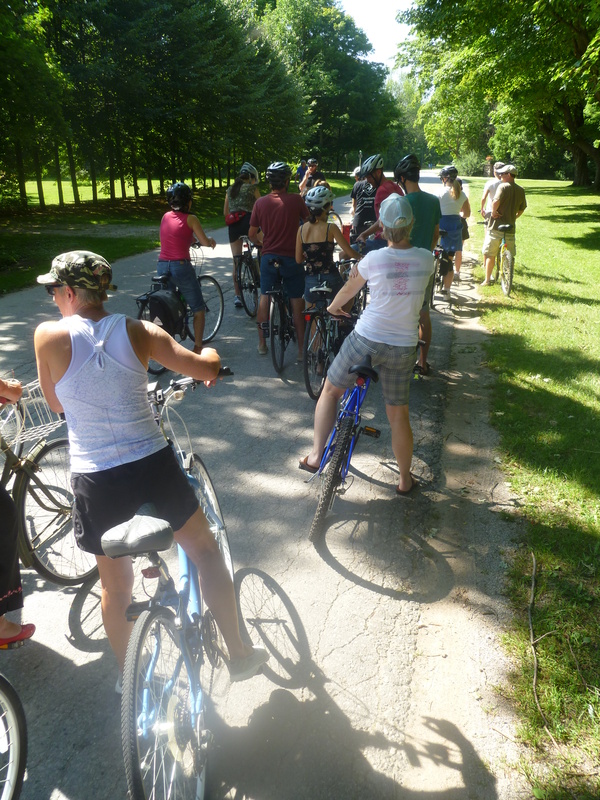 A passionate interest in his community, it’s volunteer corps, and heritage made Tyler the perfect guide for the bicycle tour which was followed by an impromptu concert in the park. The main event was a concert at Bayfield Village Hall this evening. 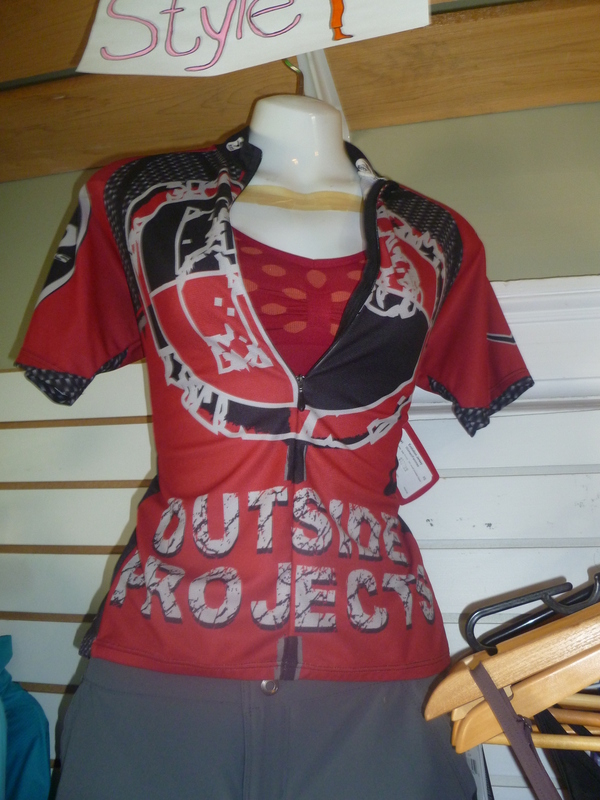 OUTSIDE PROJECTS: Owned and operated by outdoor enthusiast Tyler Hessel, Outside Projects is located on Bayfield’s historic Main Street and offers services and equipment for outdoor activities. Their services include bike sales and rentals, custom bike building and fitting, skateboard and longboard building and sales, snowshoe sales and rentals, guided hikes and bike tours, bike and skateboard summer camps, apparel sales for outdoor activities, and many more! Interview with the one and only Tyler Hessel! 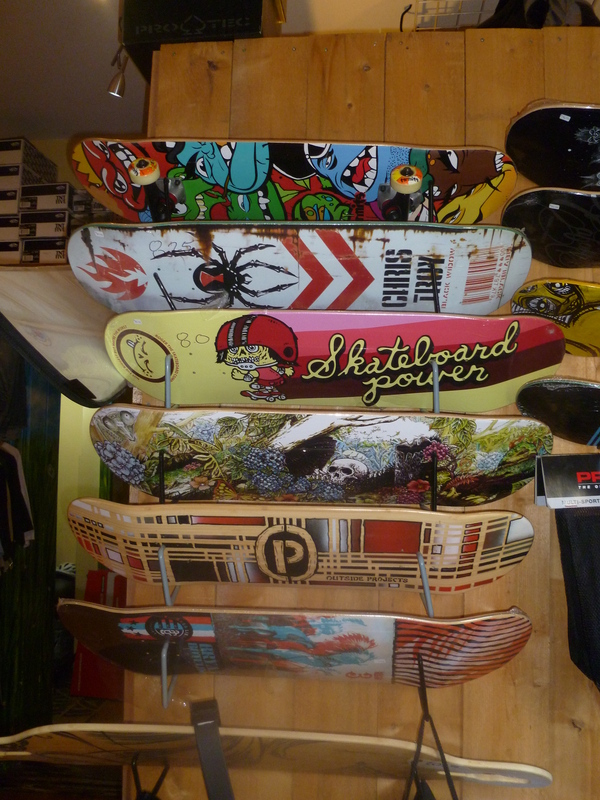 Yesterday afternoon I stopped in at Tyler Hessel’s store in Bayfield, called Outside Projects. I wanted to chat with him because he is someone that is very actively involved within the community, as well as being a store owner, he is also Counselor at large in Bluewater. Enjoy the video.